I have two passions in life: Hot air ballooning and travel. I’m lucky enough to have my dream job of flying balloons in some of the world’s most beautiful places. Having always been an ambitious person, my all time goal was to drive around the world with a balloon and to fly in as many countries as possible. Not only that, but to do it for a good cause. After selling my balloon company in New Zealand at the age of 26, I needed a new challenge and decided to move to Brazil to set up a new business. Sitting in my room on a cold, wet day in the south of Brazil, things not going so well, I asked myself, “What is stopping me from realising my goal?”. I couldn’t think of any reason why not, so I approached UNICEF New Zealand and asked what they thought of me travelling around the world with a UNICEF Balloon. 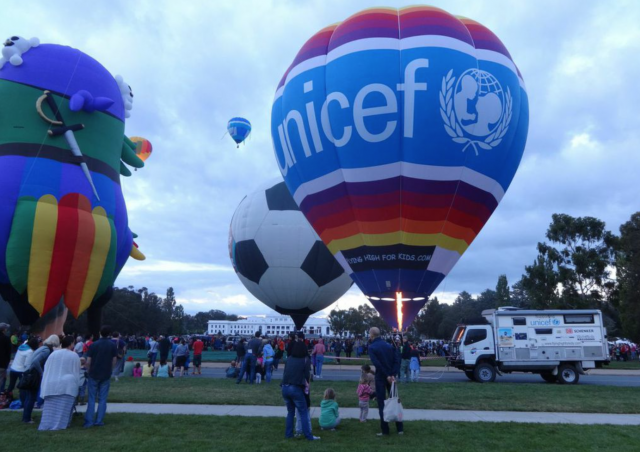 I have always respected the work that UNICEF does and balloons and kids seem to go together well. After some time, they decided they would support the idea, but I would have to find the funding to do it. I didn’t have the money to do it, but I wasn’t going to let that stop me. I set about researching whether it could actually be done. 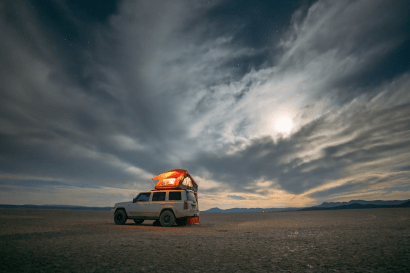 No one had taken a balloon overland around the world before. There were so many things to research: Aviation laws, border crossings, vehicles, import/export rules, visa requirements, just to mention a few. At the same time I left Brazil and flew balloons commercially in France and Turkey. After hundreds of hours of research, and some money saved up, the day came when everything came together. The plan was to drive a truck with the UNICEF balloon to over 100 countries, raising awareness and funds for various projects UNICEF are working on. 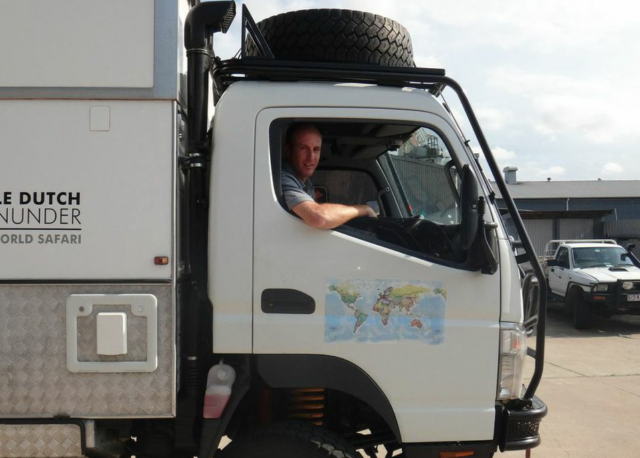 I purchased a second-hand camper truck from a Dutch-Australian couple who had already travelled with it from Australia to Asia, Europe and Africa. It was parked up in Holland, and I got a local offroad motorhome manufacturer to do a few modifications so it would be able to carry the balloon. 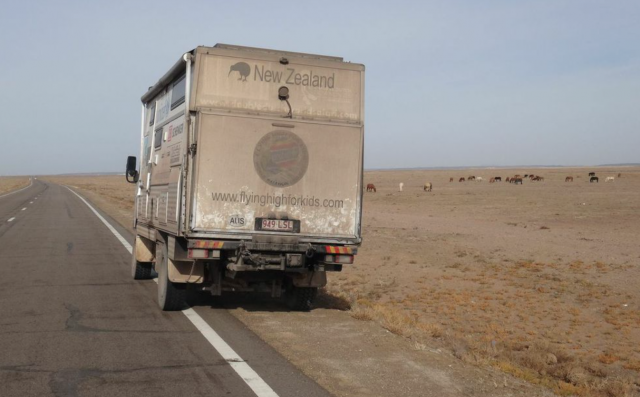 A couple of months later, once the modifications were made, the truck was shipped to Australia. At the same time, a balloon manufacturer based in the Czech Republic liked my idea and had kindly agreed to sponsor the cost of the balloon. Once made, it was shipped to New Zealand, and on the 9th of December 2013, three days after my 30th Birthday, the Flying High For Kids World Balloon Project was launched at a primary school in Auckland. The kids were so excited to have the balloon there and they asked lots of questions. A national TV station was there to capture the launch, and live crosses were made during their breakfast show. It was a moment of jubilation, though also bitter-sweet. My Father had died just two months before and he was always a big supporter of all my crazy ideas. I am sure he would like to have been there. I became very busy organising logistics. The balloon was air freighted to Brisbane, Australia a couple of months later and at the same time, the truck was arriving into Brisbane from Holland. 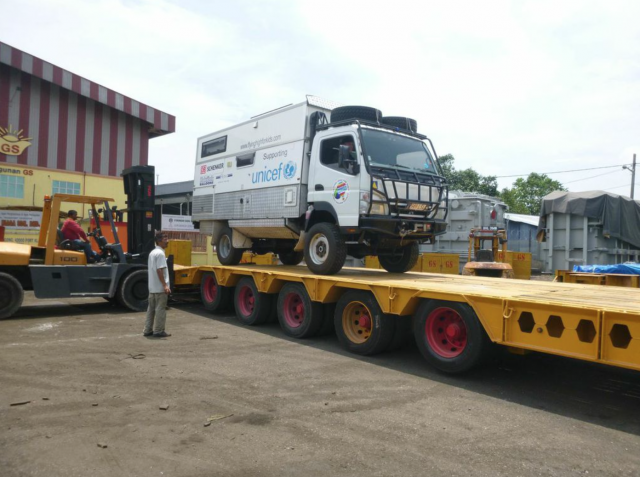 It was a relief to find that the balloon fitted into the modified truck when both came together. I knew it was going to be a tight fit and there would’ve been a big problem if it didn’t. 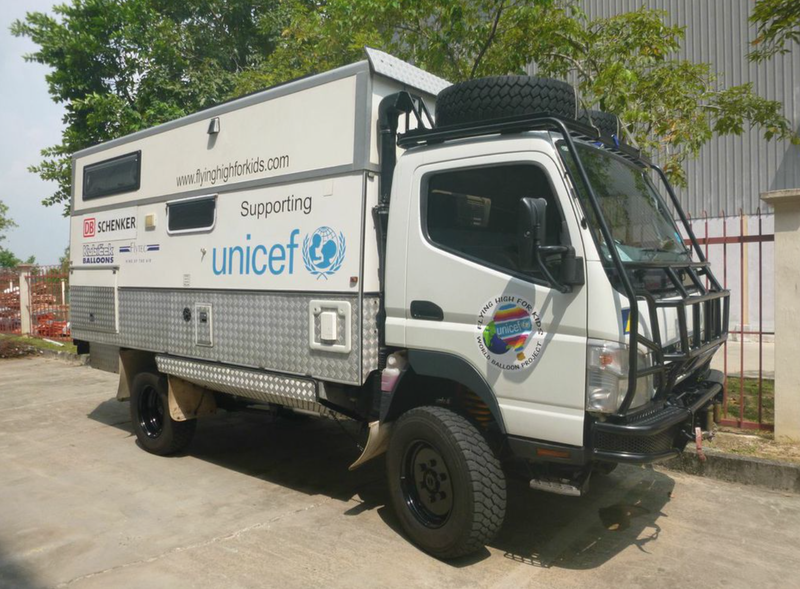 Together with UNICEF Australia, we decided on a few events along the east coast and I stayed with friends in Brisbane for a few weeks as final plans came together. Brisbane is Australia’s third largest city and has a vibrant feel to it. It enjoys warm weather year-round and there is plenty to see and do. The Brisbane River winds its way through the centre of the city and the popular South Bank area is a great place to enjoy a walk and soak up the atmosphere. 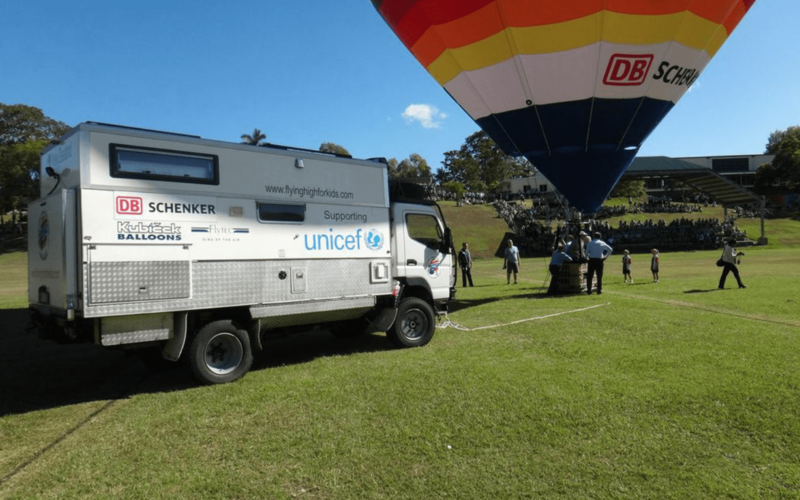 The first event we had arranged was a balloon inflation at a secondary school in Brisbane. I received a warm welcome from the 400 teenage kids and 100 primary school kids from another school down the road. I talked to them about what I was doing and the messages we were sharing. 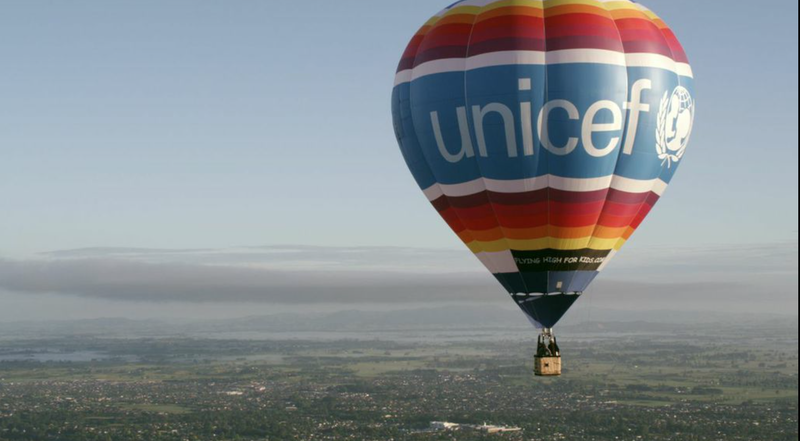 Using the balloon as a medium, the aim is to raise awareness about childrens’ right to education and inclusiveness of children with special needs. I also inspire kids to follow their dreams using my own story as an example. They make postcards for me and with these, I pass them on to children in other countries along my route, hoping to create a global community and show children a different way of life to their own. Everything went very smoothly. The 300km drive to the rural town of Grafton was an enjoyable one. It was a great feeling of freedom to drive my truck on the open road at last. I love to drive in the wide, open spaces of Australia. You feel so small. There were a number of Eucalyptus forests along the way, along with rolling farmland. The road was easy and I made good time. 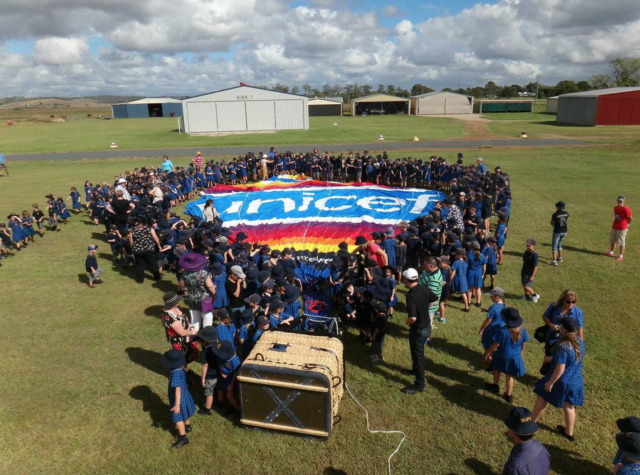 In Grafton, around 500 primary school and kindergarten kids came to see the balloon. It was a bit windy, so I could only inflate the balloon for a short time. After the inflation, I spoke to a number of classes. The youngest kids were the most interesting to speak with. Some of them just wanted to tell me something about themselves; like that their Father was a teacher for example. It will be interesting to see how many new balloon pilots there will be around the world in the next 10-20 years, as many kids have told me after events that they want to be balloon pilots when they are older. 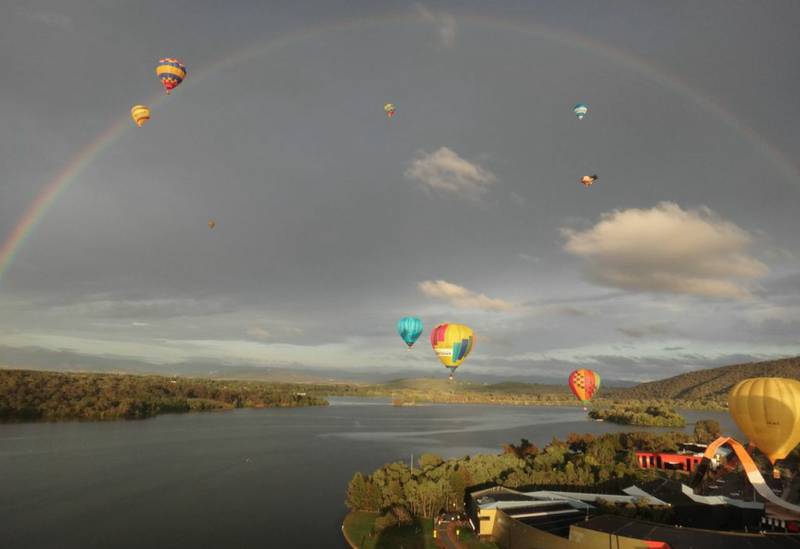 The drive to my final event, participating in the Canberra Balloon Spectacular, was again an easy one. The east coast of Australia is largely green with mountains running down a good part of it. Driving is easy as the roads are long and straight. I stopped off in Sydney along the way for a couple of meetings. Even after visiting Australia many times before and living there for a couple of years, it still gives me a thrill to see the Sydney Opera House and Harbour Bridge. They are magnificent pieces of architecture. The Canberra Balloon Spectacular is a weeklong balloon festival held every March. 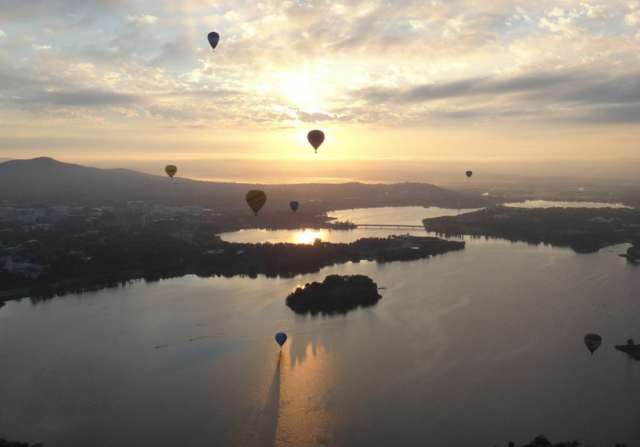 There are not many countries in the world that you are allowed to fly a balloon over a capital city, but Canberra is one of them. Over 30 balloons attended and it was a great week of floating over rooftops of government buildings, foreign embassies and other institutions. Canberra is famous for its layout, designed by US architect, Walter Burley Griffin. It was created specifically to be the capital of Australia and was built from scratch after 1911. The city is very green with plenty of open park spaces. The Burley Griffin Lake is enjoyed by many of its residents. It was back into action after the festival, as the balloon and truck needed to be shipped to Malaysia for another balloon festival less than two weeks later. I returned to Sydney, and within a few days the balloon was being air freighted and the truck shipped to Kuala Lumpur. I managed to get some sponsorship from a large logistics company and they handled a lot of the paperwork. This took a lot of stress off me as it can get quite involved. I had arranged a carnet de passage for both the balloon and truck. A carnet de passage is similar to a passport for exporting goods and takes a lot of hassle out of the temporary import/export process. 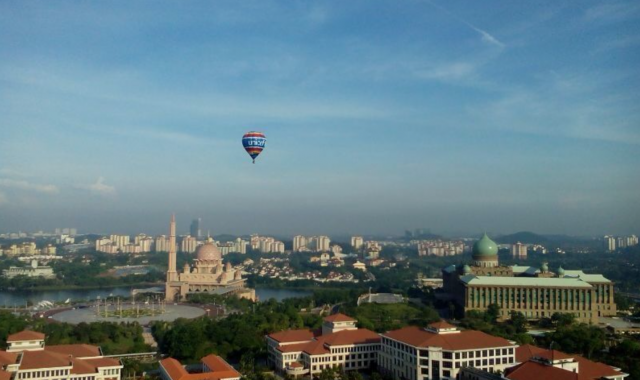 I arrived into Kuala Lumpur a couple of days after the balloon did. 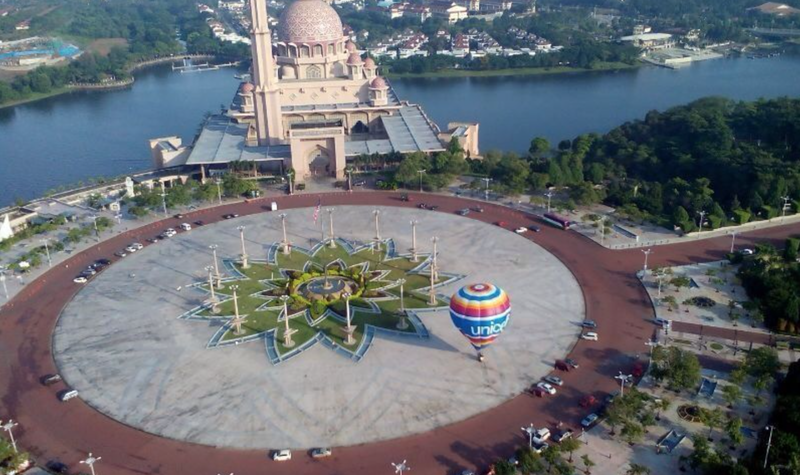 There were no problems with paperwork and the balloon was all ready at the balloon festival site in the government district of Putrajaya, located just outside of Kuala Lumpur. 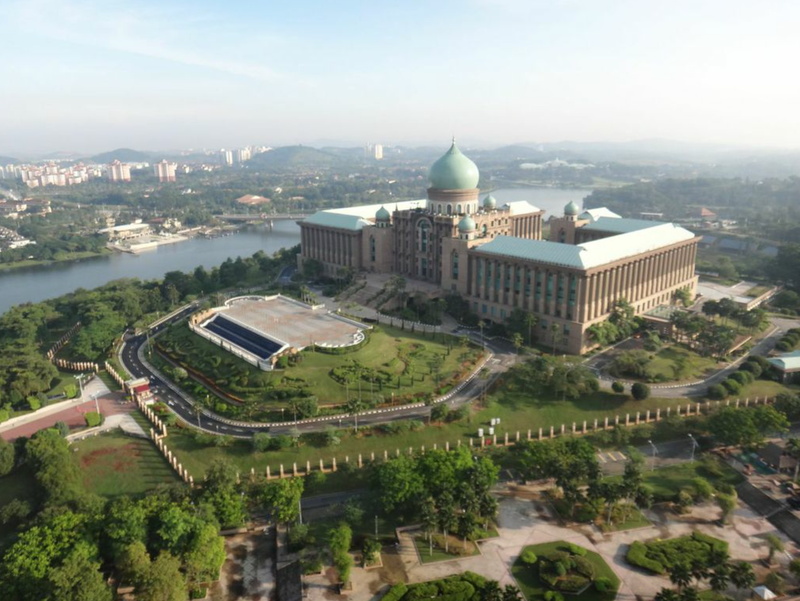 Similar to Canberra, it was also purpose built to be the administrative capital of the country. The roads are wide and the city feels new. The flying area was small as the international airport was quite close. 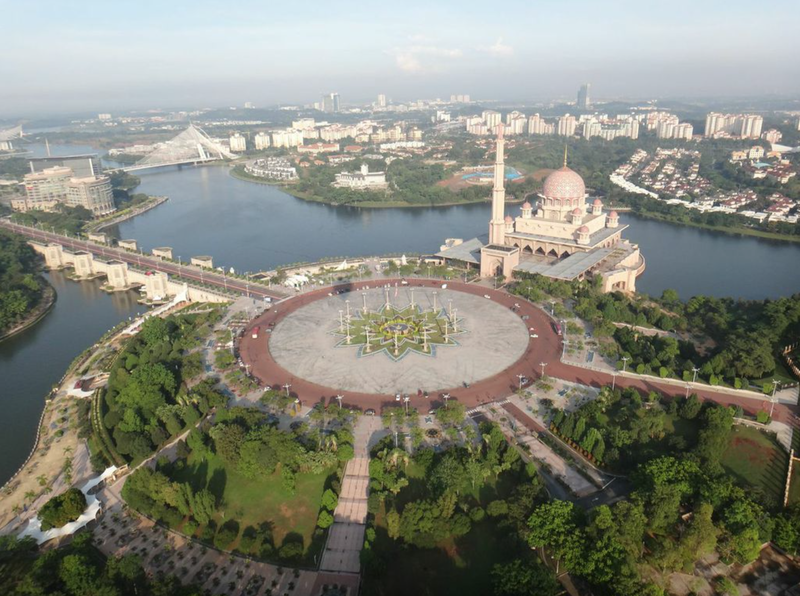 It was a fun four days of flying over the built-up area of Putrajaya. The weather was nice each morning, though hot and humid. I even managed to win the competition at the event, so got a nice trophy to take with me. 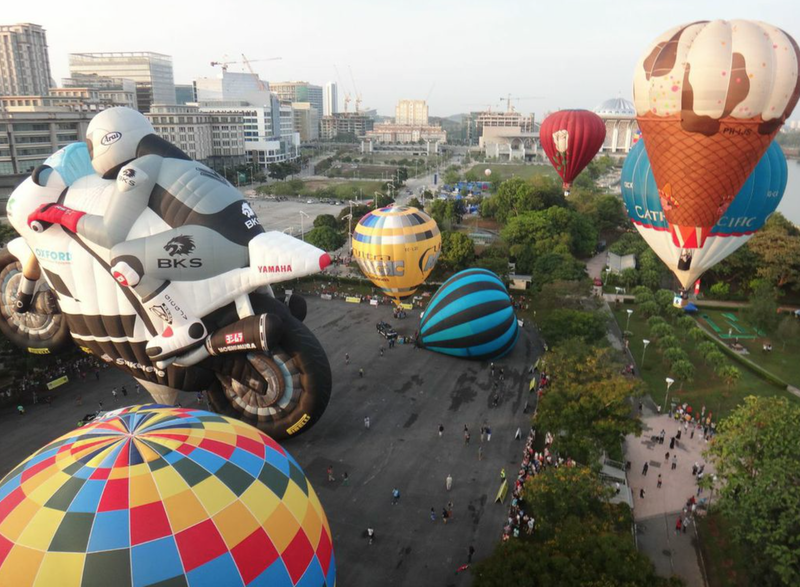 There was the third and final balloon festival to attend straight after the Putrajaya festival, this time in The Philippines. Once again the balloon was packed and shipped to Lubao, just north of Manila. 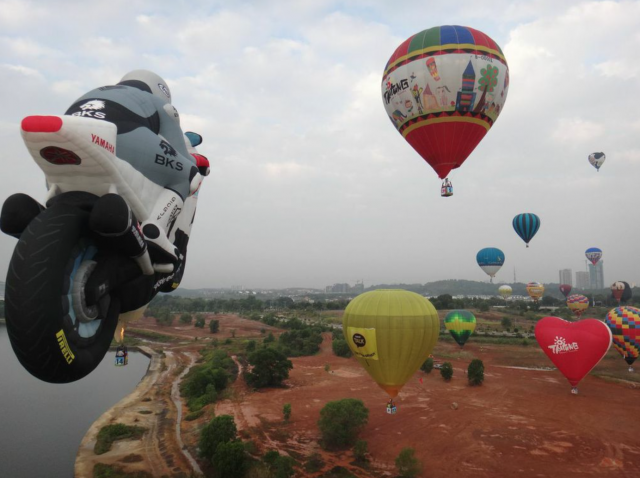 Around 40 balloons attended from all over the world and the event lasted five days. The area was full of rice paddies, so we had to make sure we landed in an accessible place so our ground crew could get to us. 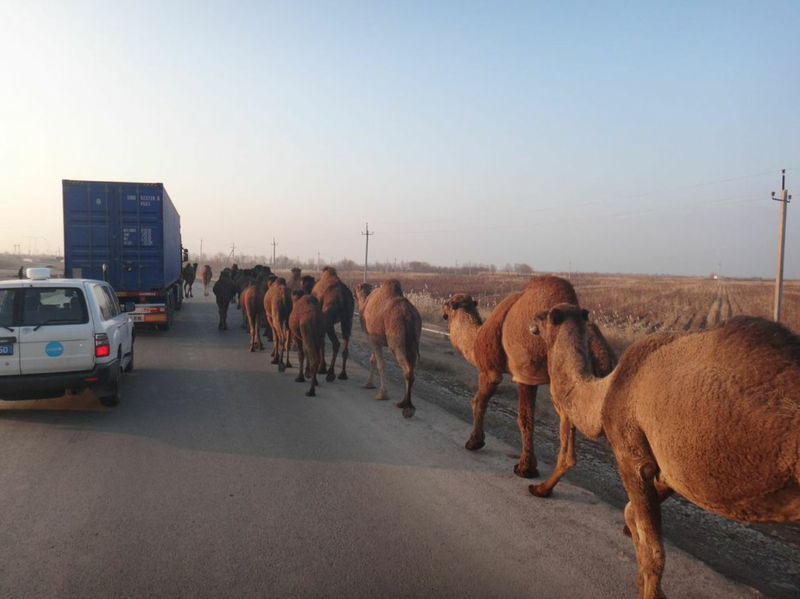 On landing, many kids would come from the nearby villages and want to meet us. They would help to pack the balloon and it was a real joy to meet them. Filipino people are generally very friendly and happy. The fun of ballooning is that you never know where you will exactly land, so every flight is different. 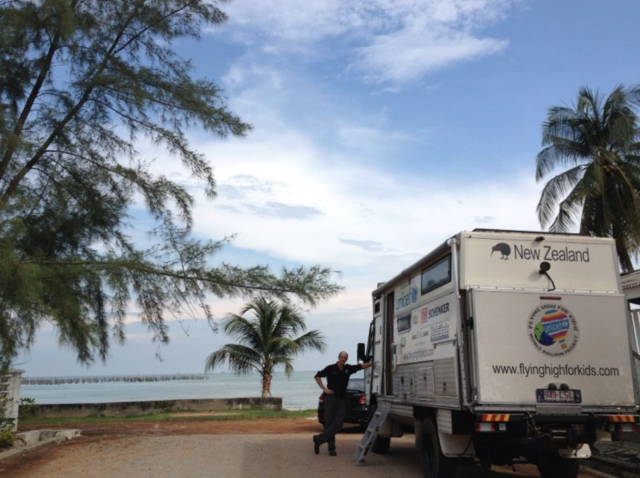 After the four day event, it was back to Malaysia to wait for my truck to arrive from Australia. I spent two months in Malaysia, preparing for the South-East Asian leg of the project through Thailand, Cambodia and Laos. 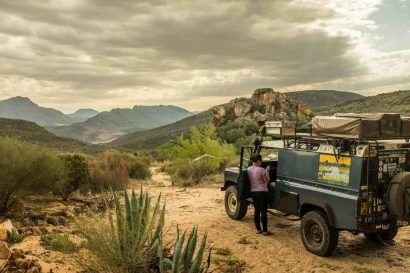 The following countries is where the adventure really began…. You can follow the project at www.flyinghighforkids.com or www.facebook.com/flyinghighforkidsproject. 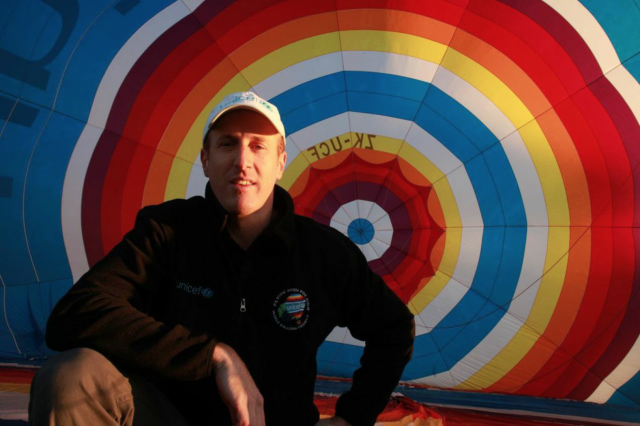 The Flying High For Kids Project is a self-funded project and the Project Creator and Director, New Zealand balloon enthusiast, Andrew Parker, gives his time for free. 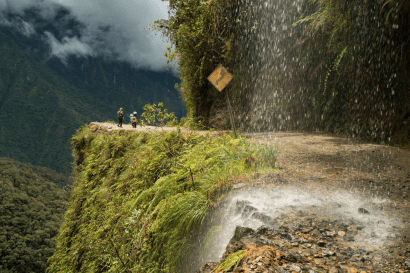 Editor's Letter: Has Crowd Funded Travel Jumped the Shark?